The subtle tint of green on this rock wall caught my eye. Algae produced by the falls and river nearby have tinted the wall. Additionally, there is a remnant of the original green paint that was used on the hand rails, so there is a stronger green complementing the subtle algae green. 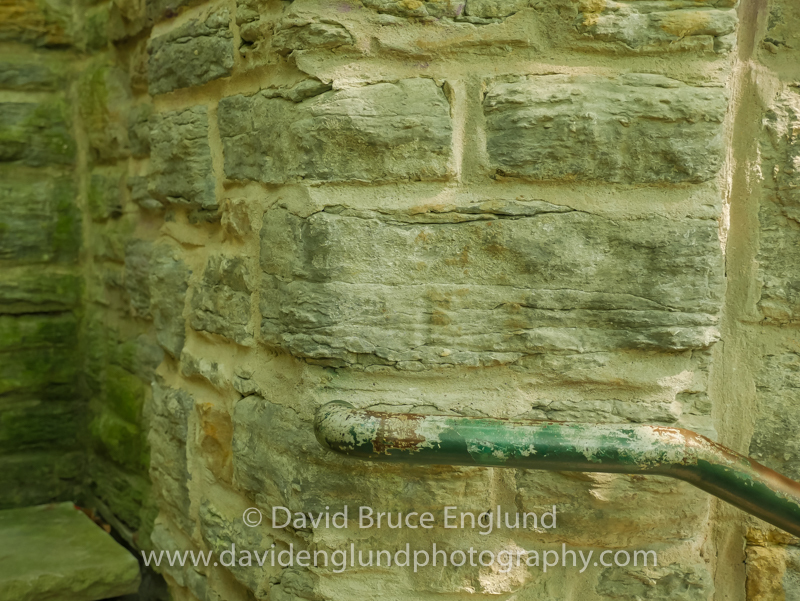 Algae tinted stone wall leading to Minnehaha Falls.